A record crowd of 110 members and guests attended the 2016 Annual Meeting & Harvest Dinner of the Historical Society of the Tonawandas on November 9, 2016. 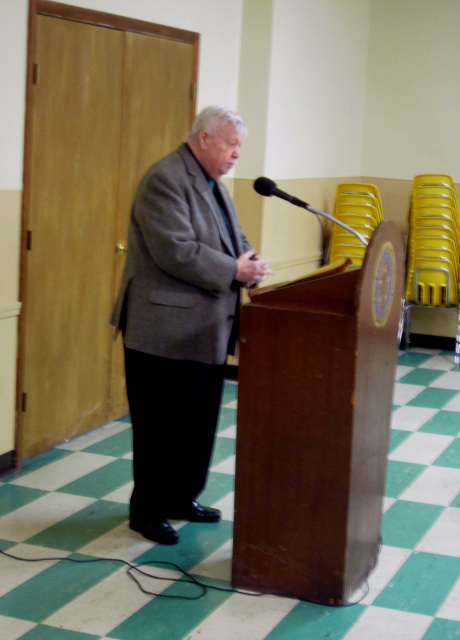 Society President, Patrick Barnard, conducted the meeting and annual election of Trustees. 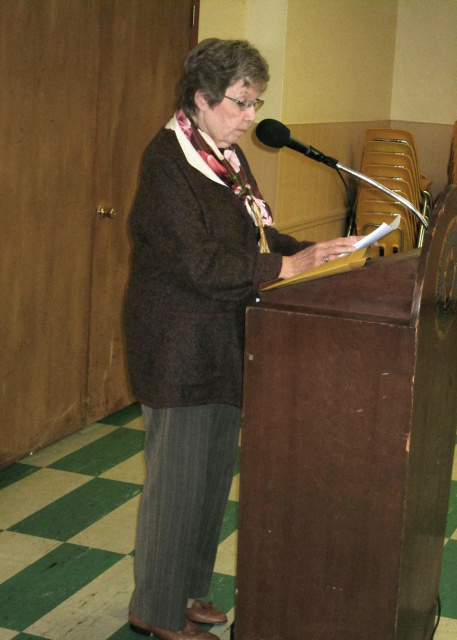 The evening's keynote speaker was Barbara Tucker, who provided a delightful and engaging perspective of her four decades at the TONAWANDA NEWS. 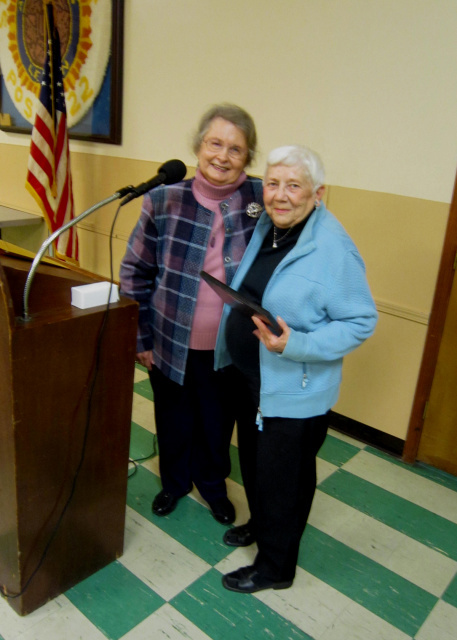 Life Member, Louise Balling (Right), receives her 2016 Volunteer of the Year award for her dedicated service at the Benjamin Long Homestead. 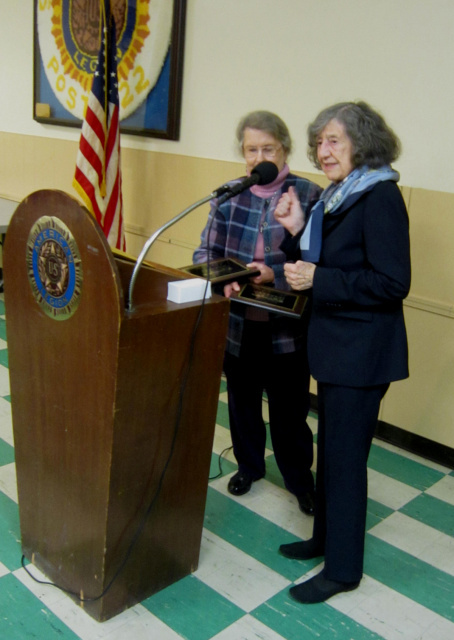 Norma Stryker was the second recipient of the 2016 Volunteer of the Year award, also for her long-time work at the Long Homestead.